Engage TAPS 3 and over 5 tons of wave-making power to see how our biggest boat is making the biggest wave yet. 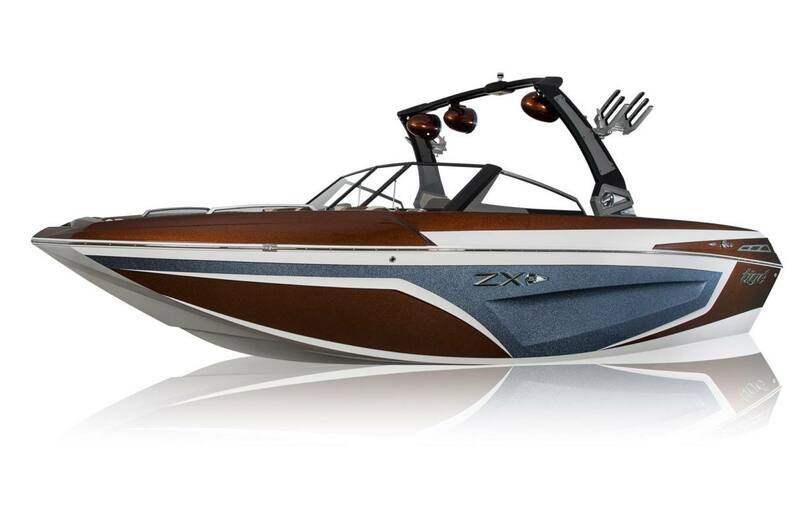 The surf performance of the ZX5 is in line with what you expect from a Tige -- it's long, powerful, and riders have even described it as "perfect". 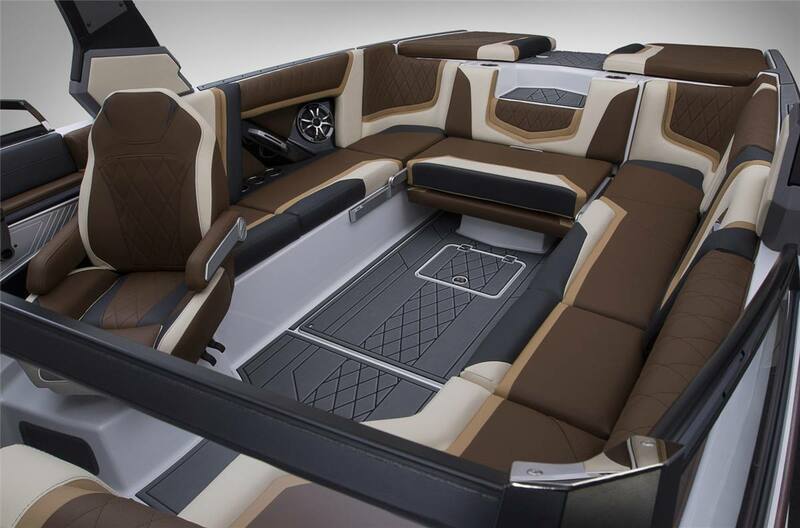 Wakeboarders can expect the massive, rampy wakes that the Convex V Hull is notorious for. This new king of the water can make the wake vanish when you are ready to ski and still performs with total agility when you take it into a turn. And when you're all done behind the boat, you can simply store your boards in the Surf Locker storage to keep your cockpit dry and tidy. 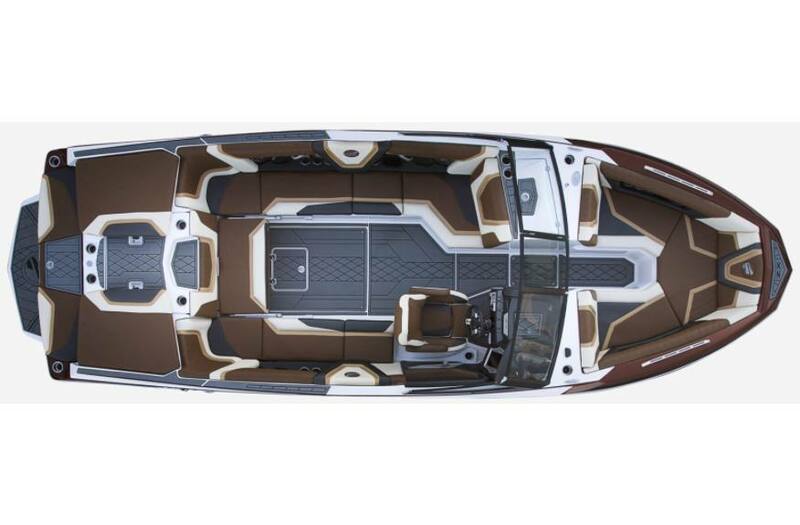 Driver Friendly Helm: Tige CLEAR is the next-generation of on-board technology and is sure to elevate everything about your experience in a Tige. Using commands and gestures similar to today's smartphones and tablets, you can easily navigate through your day on the water with highly intelligent design, intuitive control, and always have a clear view ahead. 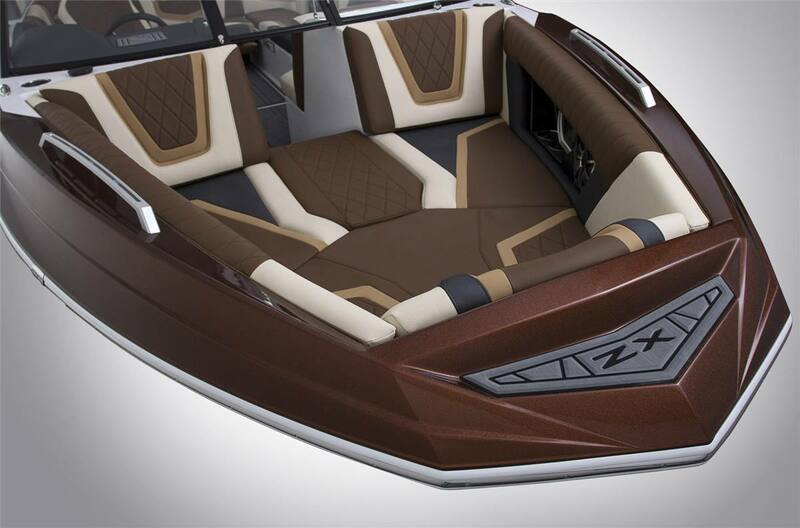 The Tige ZX5 has been highly calculated to give you a turnkey experience with 3,000 lbs of underfloor ballast. The Surf + Wake XL Ballast throws the right size wave and wake for every rider regardless of the number of passengers.